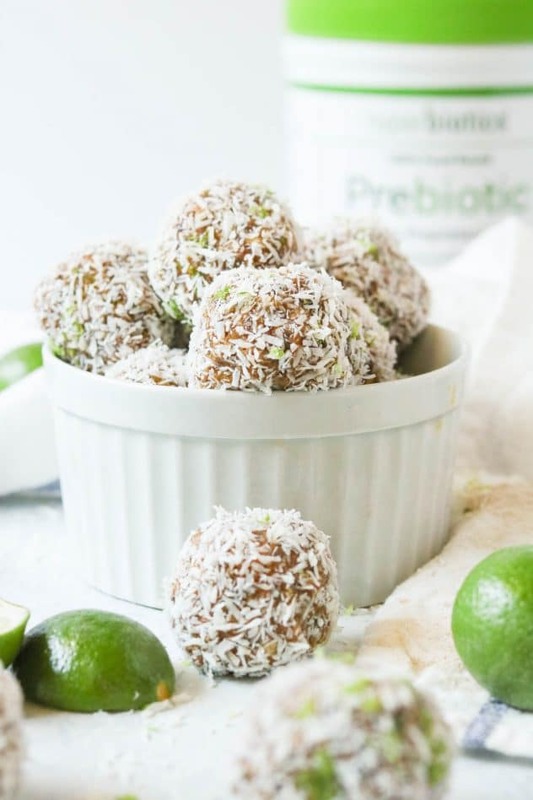 A quick and easy gluten-free, nut-free snack with these key lime power balls with prebiotics. Made with just a handful of ingredients plus Hyperbiotics prebiotic powder. 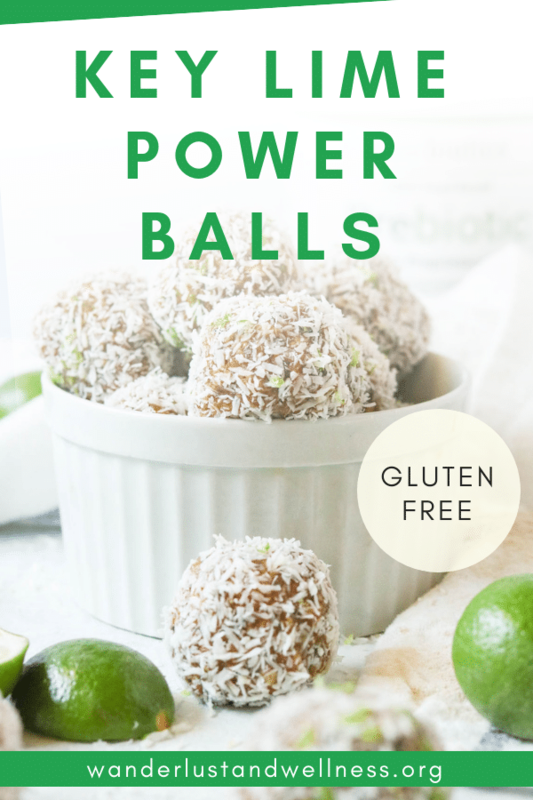 Power balls are one of those healthy treats that used to frustrate me because every single recipe included nuts! If you have a nut allergy, you’ll feel my frustration on this one. 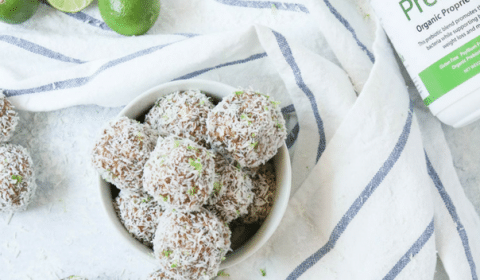 Back when I started my blog, I began creating recipes for both power balls and energy bars that didn’t require nut-based ingredients, just like with these key lime power balls. I love when food not only tastes delicious but is also good for your gut. Over the past few years, I’ve learned how important gut health is, especially when it comes to reducing internal inflammation, energy levels, and mental clarity. 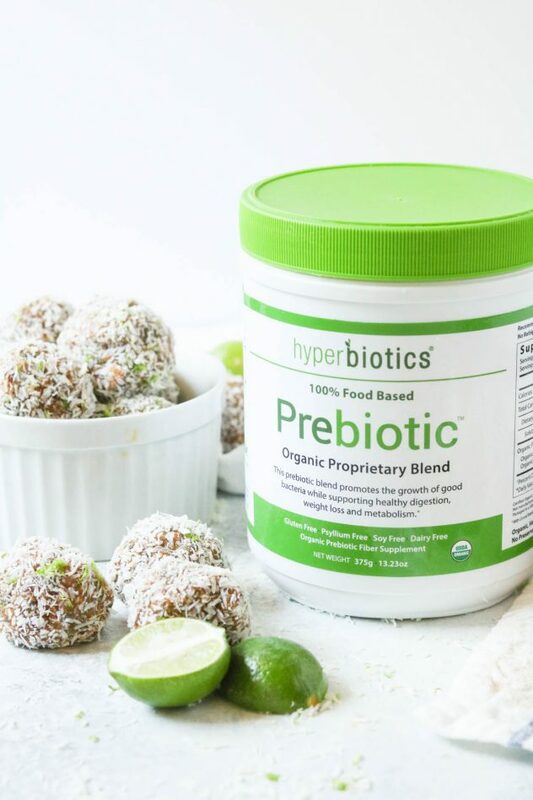 This prebiotic blend is an organic, food-based blend that’s also designed to reduce gas and bloating that you might find with other fiber powders. Add all power ball ingredients to a food processor and begin to pulse. Once the mixture begins to combine, process for about 1 minute until all ingredients are thoroughly chopped and combined. Place mixture into the freezer for about 1 hour. 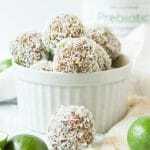 Remove from freezer, using a small scoop, shape the mixture into 1 inch balls. Combine the coconut and lime zest on a sheet of parchment paper. 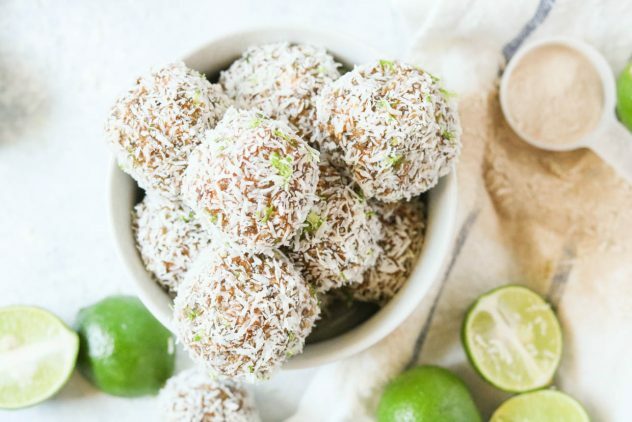 Roll each ball in the coconut lime zest mixture until it’s fully coated. Looking for additional gluten-free snack ideas? Try some of these!